What is yumm sauce? After 30 years of eating it, I still don’t really know….that said, it is a Eugene born and bred, mysterious, dairy free, creamy sauce that goes well with everything and anything! 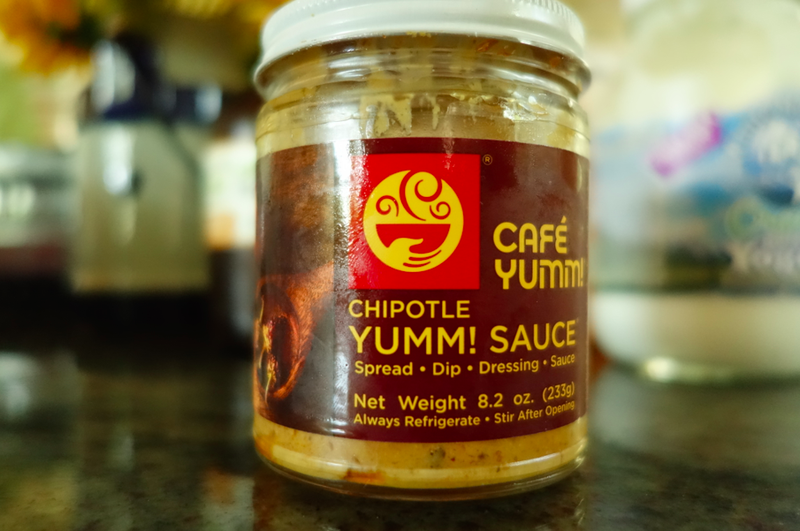 Hard to describe, it is hummus-like, with the addition of spices and nutritional yeast. People love it on rice and beans, and I prefer it on meat (a vegan sauce, perfect for meat, how ironic..) and grilled veggies. Yumm sauce comes in three varieties; original, garlic and chipotle. Our favorite is the chipotle…. Just like I am a granola connoisseur, my parents are yogurt snobs. And this Bulgarian Yogurt is their go-to. 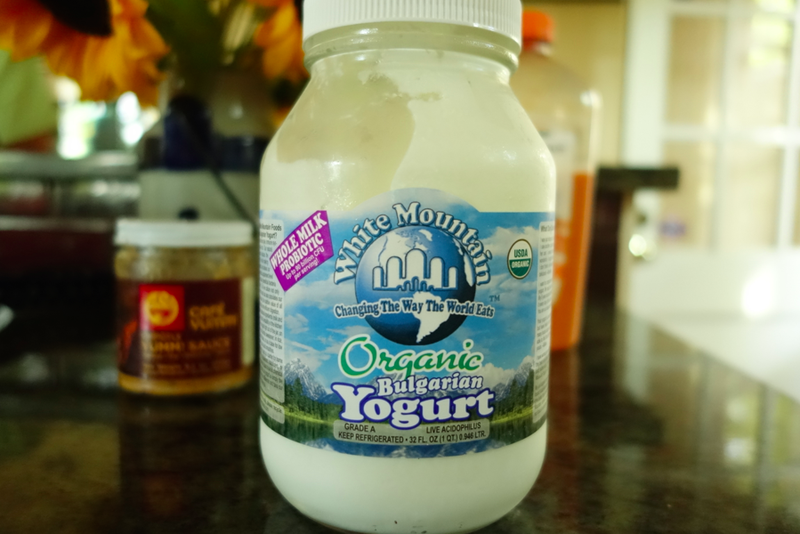 This organic Bulgarian yogurt is a probiotic superfood made the old-fashioned way with only two ingredients: certified organic milk and live yogurt cultures. There are no added thickeners or sweeteners, so the yogurts flavor and texture is thick, rich, and divine. How hipster of the Bulgarians to have yogurt in a big a$$ glass jar. 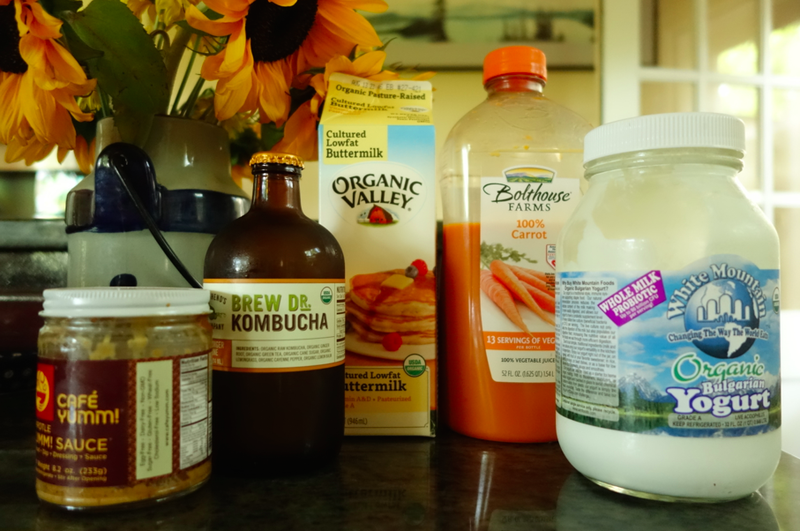 Six years ago, I was on a mega-kombucha kick, drinking it every single day. Then I had a rather unfortunate mishap (food sickness, kombucha poisoning, 24 hour bug — who knows), but since then, it has been hard for me to stomach. Seeing my parents drink it every afternoon as their pick me up snack this summer, I am back on the train… and I must say, I love it. It settles your stomach, makes you feel relaxed (perhaps the alcohol content in it), and clears your mind. My favorite flavor is the white rose. 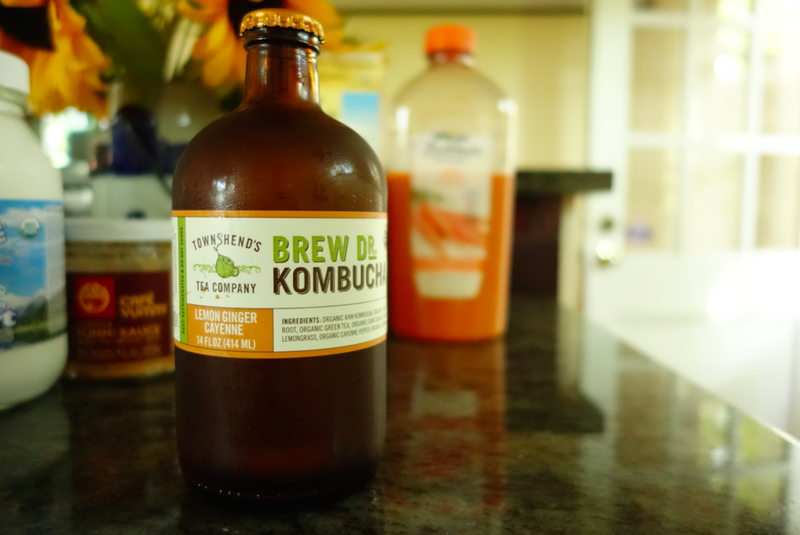 By far the best brand of Kombucha — start selling on the East Coast, please! My mother swears by carrot juice. Sweet, silky, and healthy. She drinks it by the gallon as a snack and with her morning breakfast. And if you have kids that don’t love vegetables (are we the only ones??? ), it is good to be sneaky and spike their juice with it to get that some added vitamins. Organic carrot juice. Refreshing, sweet, and healthy. My dad always puts buttermilk on his granola. At home in NYC, we use it to make buttermilk chicken. It is tangy, rich, full, nutritious, and light. As it is naturally fermented, it provides enzymes to enhance digestibility of and assimilation of nutrients from food. Healthy, tasty, with a wide range of uses. Sold. 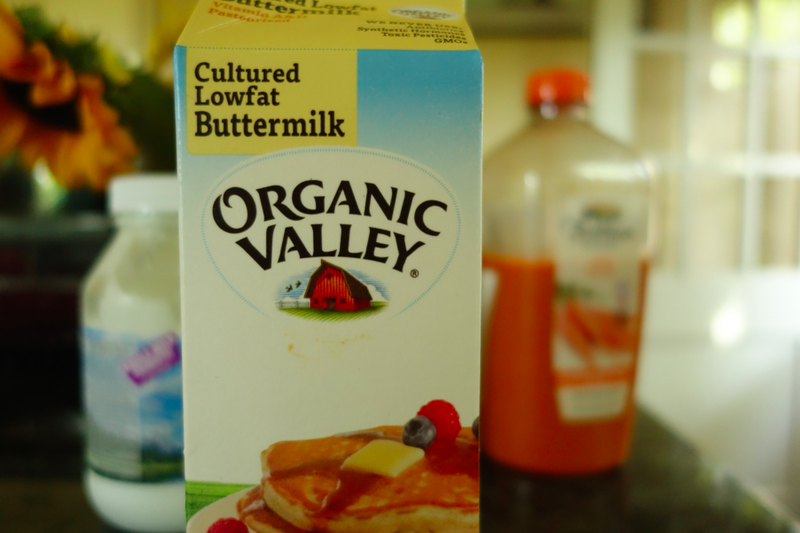 Cultured low fat buttermilk — also good in pancake mix! There you have it. My mother has a lot more unique and interesting products in her house… we basically need a week long series of “things in my mom’s kitchen.” Until then, what unusual products / ingredients / things do you have in your kitchen that you recommend? Would love to hear! Love the post. Most excited about trying Bulgarian yogurt. The Greeks are going to be jealous! Yup, I have never seen any of these….. Your family really knows their healthy foods! 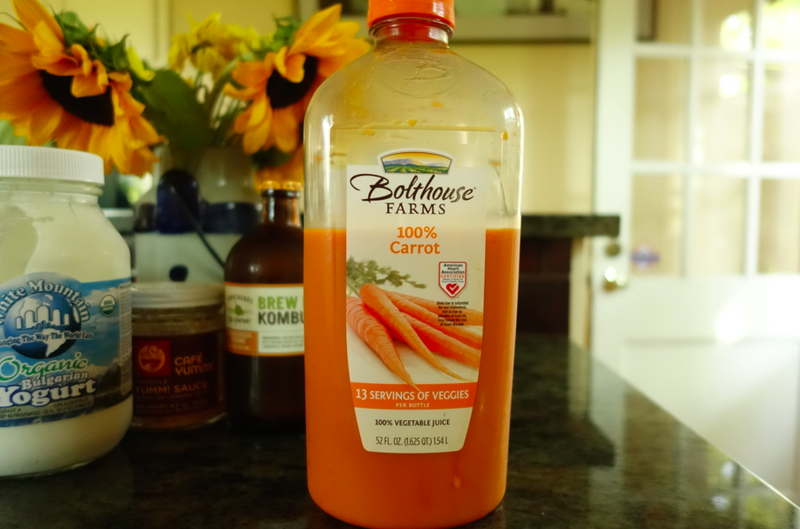 I don’t think I have anything in my fridge that is quite as obscure..I have been reading about how great carrot juice is for you but I’ve been too lazy to actually make some so I will definitely be trying Bolthouse. & Now you have me researching Brew Dr. Kombucha! Thanks for sharing-Go mom! I would say Carlson Norwegian Cod Liver Oil. I take a spoonful each night w/ dinner. I tried Cafe Yumm in the PDX airport. Tasty! On a mission to procure Yumm Sauce.